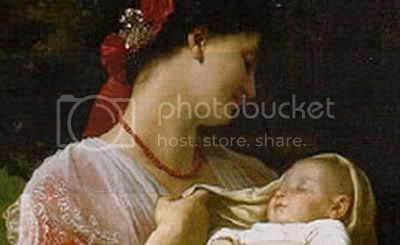 ~ ‘Mother and Child’, by William-Adolphe Bouguereau, 19th century, detail. After I posted my announcement and thoughts on "my old Mum,” I got a letter from e-friend and poet, jan-u-wine, whose work I have posted several times when she has written things inspired by Frodo Art Travesty manips. 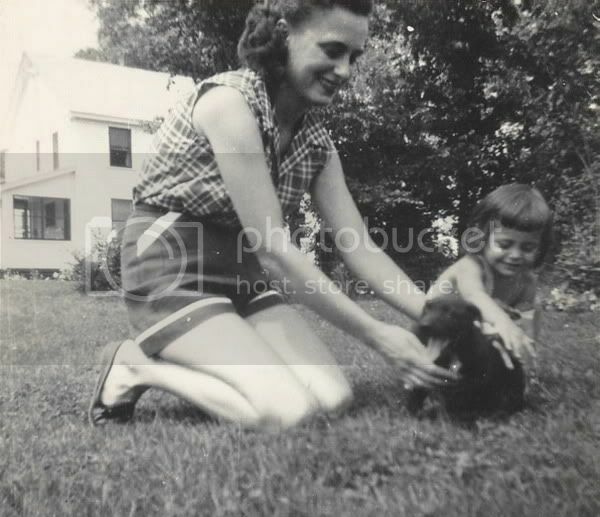 It turns out that the black-and-white photograph I had posted of me and my mother (petting the little dog), reminded her of a poem she had written about her own mother. She wrote it after her mother had died, inspired by an old black-and-white snapshot of her and her mother, when she was a baby. Jan-u-wine’s poem speaks beautifully to many things we said, talking about our relationships with our mothers, in the comments section after that post. I realise I am about to leave, but I really wanted to post this poem right away, because it caught the flavour of what many of you said so feelingly and eloquently in your comments. tumbled and turned by the winds and currents of life. It lies, incomplete, now, in my hand. and do not know how to go on without that one pearl. ~ Jan-u-wine's Lord of the Rings-based poetry is here. ~ Previous post on “Old Mums” here. Further note: Since I am leaving tomorrow morning at 5:00 a.m., I may not be able to speak to any comments for a while. But do leave comments if you are moved to do so; I will be sending the link to jan-u-wine. A beautiful poem, and a beautiful picture to go with it. Time passes and can never be reclaimed. And it keeps on rushing by! I'm glad you're back safely. I hope your Mum was well. Starlit, I am back and just beginning to go through the mail. What a lovely thing to say! And your icon photo is beautifully chosen. Welcome back! You were missed *hugs* I hope you had a nice visit with your mum, it must have been good to see her again. Thank you dear for this wonderful picture and this gorgeous poem. jan-u-wine is a wonderful writer. I'm deeply moved. Have a wonderful time love, see you on July 12th. Hi, Julchen, I have returned. It'll take a few days to get through the mail, though. My plan of keeping up with things at the library's internet computers did not work out - too much to do during the day. Now THAT made me cry. Your journal is going to short out my keyboard one day. Taerie! Your icon! Is that you???? I love it! Oh, that is SO beautiful and moving! Thank you, Mechtild and jan-u-wine. The necklace is broken.... I'd like to send this lady to jan-u-wine. Surely, she'll mend it. Philipp Rumpf (1821-1886), "Woman with pearl necklace"
That is a FANTASTIC painting! (Saves immediately.) I must show this to Jan-u-wine! 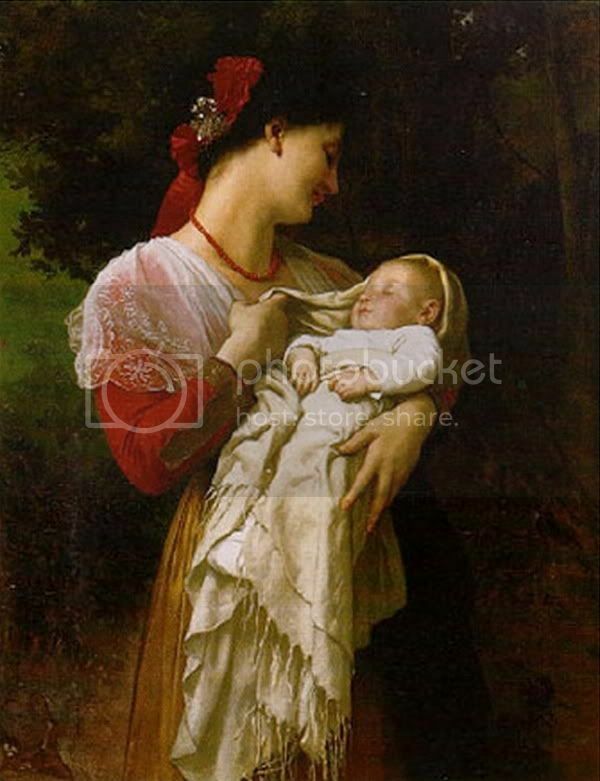 Thanks, too, for identifying the painting fully. I soooo appreciate that. Very beautiful poem and a wonderful picture too.